The Labyrinth Society Annual Gathering is a casual, public conference spanning three days with special workshops and local tours before and after the main event. It is a time when labyrinth enthusiasts and experts gather from around the world to learn, share, and celebrate labyrinths. The Annual Gathering includes featured speakers, break-out sessions, sales of labyrinth-related products, silent auction, and a wide variety of labyrinths for walking. The Annual Gathering provides opportunities to meet and network with others who use and love labyrinths, learn new approaches, experience new labyrinth designs, and support the spread of labyrinth wisdom and community around the world. The Annual Gathering includes the annual business meeting of The Labyrinth Society, where members are elected to the Board of Directors and have input into the activities of the organization. You can have lunch with a labyrinth expert from another continent, try your hand at building a labyrinth, or shop for unique items not available anywhere else. The location and theme for the Annual Gathering changes each year, allowing us to visit many regions. 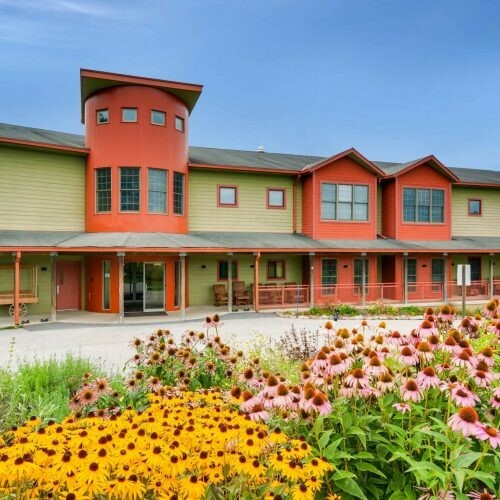 The 2019 Annual Gathering will be held at the Pearlstone Center in Reisterstown, Maryland, October 18-20, 2019. This will be The Labyrinth Society's 21st Annual Gathering. The theme will be Journey of the Heart: Making Connections, Building Community, Finding Common Ground. Our featured speakers will be Mark Healy and Eve Hogan. Mark your calendars and plan to attend, and watch these pages for more information as the 2019 program develops. An exciting program of speakers, presentations, and workshops is offered each year. Programming for our 21st Annual Gathering is currently underway. Registered participants are invited each year to extend the Gathering experience by attending optional activities. Pre-gathering and post-gathering workshops and tours are offered to allow Gathering attendees to explore the region, visit local labyrinths or engage more deeply in the Gathering theme with a featured presenter. Registration for the Gathering is not a requirement to attend any of the pre-gathering or post-gathering bus tours and workshops. You may register for one or more by indicating only the desired items on the online registration or downloadable forms. Each year Gathering goers are able to share their talents with others as presenters, photographers, and builders of labyrinths-on-the-grounds. Here you can learn how you can share your work and ideas at the Gathering.